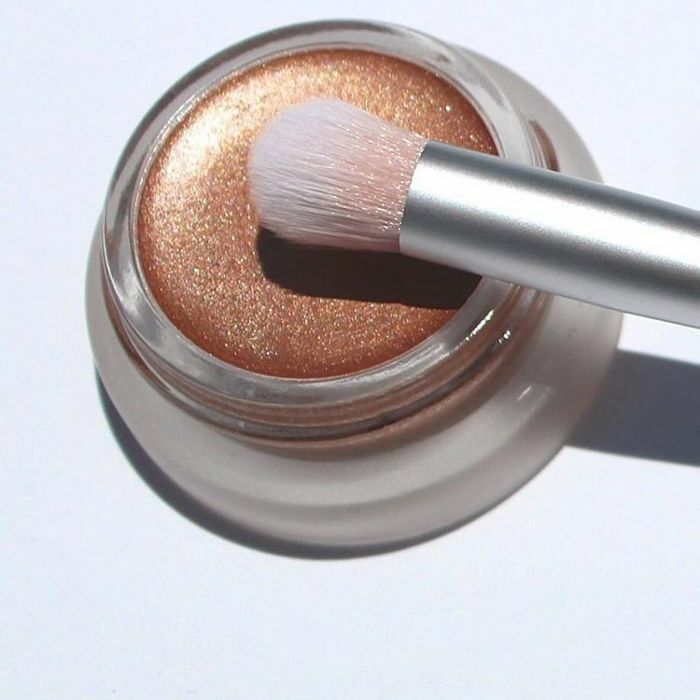 We've waxed poetic about the wonders RMS Beauty's "Un" Cover Up can work, but the cruelty-free brand's newest launches are summer game changers. Makeup artist and RMS founder Rose-Marie Swift has amassed a cult following with her high-performance, nontoxic coconut-oil based cosmetics, so it's no surprise that we're in love with her new Eye Polish, Lucky, and its handy brush. Eye Polish is RMS's answer to eye shadow, and with the newest addition of this peachy-bronze shade, the collection includes nine beautiful metallic cream shadows. Like the rest of the products in her line, Swift ensured that the eye polish collection used raw mineral pigments and had moisturizing properties for a formula that melts onto the skin without feeling greasy or caked on. 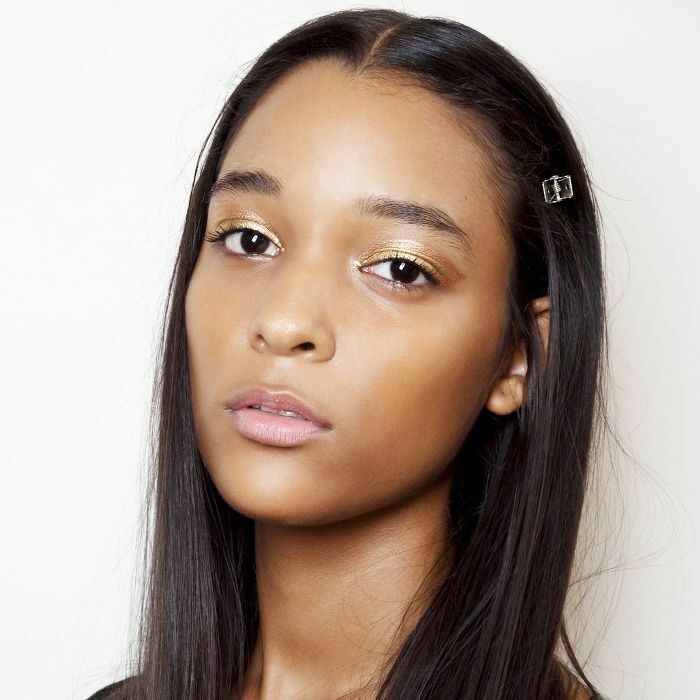 Lucky is our latest answer to easy, on-the-go summer makeup. The sheer, light-reflecting cream shadow brightens eyes for an effortless sun-kissed look. Who wouldn't want that? Simply use the elongated round-tip eye polish brush to sweep on the copper shade for a little eye-contour action in seconds, or firmly press on multiple laters for a more pigmented look. Either way, this universally flattering shade and formula is a total dream, and it's a summer must-have for all makeup bags. Check out a close up of the new RMS eye polish shade and its brush below. What do you think of the new RMS eye polish shade? Tell us in the comments!